Stay away from Caffeine. Some studies suggest for as long as fourteen hours. If you have trouble sleeping, try to only drink coffee and tea in the early mornings. Melatonin is the chemical produced by the brain that regulate our sleep. The bright blue lights from a TV, computer or phone stops our brain from producing melatonin. Therefore, stop using screens at least an hour before going to bed. To help you switch off – try reading a book for twenty minutes. To escape everyday life. Write yourself a to-do list for the following day so you don’t have everything swirling around in your head as you’re trying to drift off. Park your worries on paper. Set aside some ‘worry time’ each day to write down any issues that are bothering or concerning you, then decide to leave those worries behind until tomorrow, if you must! Make sure your bedroom is dark enough or wear an eye mask. And block out any noise with headphones or ear plugs. Try out a food supplement that contains melatonin. There are many supplements available that can help our bodies produce more melatonin – helping us relax and ease into sleep mode. Try a bit of pre-bedtime yoga, even if it’s just a few gentle stretches. Start slowly, there are many bedtime yoga videos on YouTube that can help with suggestions. Try breathing, breathe in for three and out for a count of five. It’s all about lengthening the out breath, which reduces stress and gets the central nervous system ready for sleep. Don’t watch any exciting programmes just before you go to bed, as they can amp you up too much which may result in a restless night. Are you having an afternoon nap? There is mixed research here where some say sleep creates sleep and other say too much sleep will prevent you from sleeping. Try the opposite of what you currently doing. If you have afternoon naps stop or if you are not – try nap in the afternoon. Try exercise as often as possible – exercise is a great release for stress and excess energy. 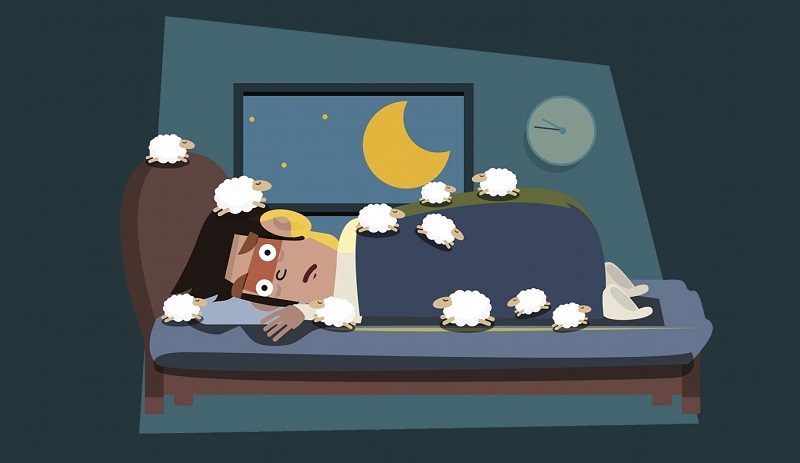 Start a bedtime routine by setting the conditions to sleep. Get up and do something relaxing if you find yourself lying in bed awake – don’t allow yourself to fall into a routine where your bedroom becomes a negative space and you start expecting that you won’t be able to sleep. Try have a light and healthy meal before going to bed – sleeping on a full stomach is bad for digestion and may cause restlessness.